Each Summer we run our annual Zelda Dungeon Marathon, but coming up soon we have something rather special. Starting at 6am US Central Time on Saturday April 12th, Zelda Dungeon will be hosting the One Man Mini-Marathon. Throughout the event, I, Mases Hagopian, have set a goal of playing through the first five Legend of Zelda titles all the way through, one after another. Starting very early in the morning, I will begin my journey with the original Legend of Zelda. This will be followed by the Adventure of Link, a Link to the Past, Link’s Awakening, and then Ocarina of Time. The playthroughs will be complete playthroughs in the sense that I will not be using the wide variety of available glitches. Notably, such glitches are available which allow gamers to play through some of these multiple hour-games in just a matter of minutes. All in all, I’m expecting the event to last somewhere around 21 hours. In order help me complete my quest, I’ll be calling on you, the fans. Throughout the the mini-marathon, we will be raising money to help a local video game arcade in the Chicagoland area. The Galloping Ghost Arcade is the largest video game arcade in the world, but they are in the process of a grand expansion. Currently housing over 400 working arcade and pinball machines, the arcade is looking to acquire the adjacent building as part of a massive expansion which will allow them to house over 700 arcade games, a massive pinball and PC expansion, and so much more. This isn’t your classic 80’s arcade with coin operated games. Just $15 gets you into the arcade for the entire day, and every game is on Free Play. 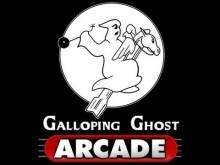 For full details on the expansion of the arcade, be sure to check out the Galloping Ghost Arcade Fundraiser page. During the mini-marathon, I would like to set a goal of raising $2500. In order to do this we will have donation tiers to keep me playing. We will begin taking donations hours before the start of the event. I will play through the original Legend of Zelda, but in order for me to continue playing, the Adventure of Link will have to be unlocked. There will be a bunch of unlocking tiers throughout the mini-marathon to keep our pacing to assure we have the best chance of reaching the goal. I will be updating you all with more information as the week moves along. For now, be sure to save that date. Next Saturday April 12th, beginning at 6am US Central Time. Even if you have other commitments throughout the day, be sure to stop by, as the event will likely last all the way into Sunday the 13th.